1.00 University Records are valuable assets and their proper management is essential for effective decision making, legislative compliance, the preservation of institutional memory, and the mitigation of risk. The purpose of this policy is to provide direction to units about their role in records management, establish a common terminology, and provide guidance about the management of University Records throughout their lifecycle. 2.01 Record: Any recorded information, whether in printed form, on film, by electronic means or otherwise. 2.02 University Record: Recorded information in any format that has been created or received in the regular course of business and kept for administrative, operational, or historical purposes. The Original Record is held in the office that has the primary responsibility for the record (see Information Steward). 2.03 Permanent Record: A University Record requiring permanent retention. Unless required for legislative compliance, the determination will be made by the Head, University Archives to retain a record permanently. 2.04 Archival Record: A subset of Permanent Records; a University Record of enduring legal, evidential or historic value. Archival Records are retained permanently in the University Archives. 2.05 Information: Includes any part or all of any record, document, or data that is created, stored and used by the University, however recorded, whether in printed, film, or electronic form. 2.06 Personal Information: Recorded information about an identifiable individual. 2.07 Open Information: Information that is readily available to any member of the University community or to the general public, either by request or by virtue of being posted or published by the university through proper administrative procedures. This type of information has no restrictions on access or usage. It may include Personal Information collected for the express purpose of public release with the knowledge and consent of the individuals the information is about, or records created for public circulation. 2.08 Internal Information: Information whose unauthorized release could reasonably be expected to cause minor, short-term harm to individuals or to the university and is intended for only limited dissemination. Internal Information must be guarded due to proprietary, ethical, or privacy considerations, and must be protected from unauthorized access, modification, distribution, storage or other use. Protection of such information may be required by university policy and/or provincial or federal legislation. Access to Internal Information is restricted to those who have a legitimate purpose for accessing such information. It is important to note that internal information in the aggregate may migrate to Restricted Information, particularly with respect to personal information about an individual. 2.09 Restricted Information: Information that, if compromised, could reasonably be expected to result in significant and/or lasting harm to an individual or the university such as identity theft or reputational risk. This type of information is strictly protected by provincial or federal statutes or regulations, university policy, or contractual agreement(s) and must be protected from unauthorized access, modification, distribution, storage, destruction, or use. Access to Restricted Information is limited to those who have a legitimate purpose for accessing such information. 2.10 Information Steward: The university employee who is the manager responsible for the direction of a functional unit that is responsible for creating and/or managing a group of records. This typically will be a Director for the unit, depending on the structure of the department. 2.11 Disposition: The final stage in the lifecycle of a record. This includes destruction (e.g. shredding or full deletion from a hard drive), permanent retention within a unit, transfer to the University Archives, or transfer to another institution where appropriate. 2.12 Retention Period: The length of time records must be retained before Disposition. 2.13 Records Hold: A written notice to suspend the disposition of specific records. A Records Hold may be placed by General Counsel for legal reasons, or by a unit for audit or other operational needs. 2.16 Data: Facts and statistics collected for reference or analysis. Can be either quantitative or qualitative. 2.17 Quantitative Data: Data that can be quantified and verified, and is amenable to statistical manipulation. Quantitative data defines whereas qualitative data describes. 2.18 Qualitative Data: Data that approximates or characterizes but does not measure the attributes, characteristics, properties, etc., of a thing or phenomenon. Qualitative Data describes whereas Quantitative Data defines. 2.19 Data Analysis: The process of systematically applying statistical and/or logical techniques to describe and illustrate, condense and recap, and evaluate data. 3.00 This policy and associated procedures applies to all University Records as defined above. 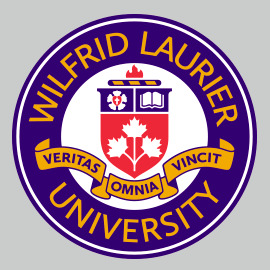 4.00 Laurier is committed to the proper management of University Records. The integrity and security of University Records is essential and the university shall create, use, retain, and dispose of University Records in compliance with legal and operational requirements. Functional responsibilities for the Records Management Program include ongoing oversight of records management at the university to ensure enterprise-wide legislative and program compliance, creating new retention schedules when required, and ensuring any changes in legislated retention periods are reflected in the retention schedules. Reviews and changes to the Records Management Program and records retention schedules will be done in collaboration with key Information Stewards, the Office of the General Counsel, and the Head, University Archives to ensure that the policy, retention schedule, and related procedures meet both legislative and operational requirements. Information Stewards are responsible for ensuring the University Records in their unit are accurate, reliable, and authentic, and that they are created, used, retained, and disposed of in accordance with the applicable records retention schedule. Information Stewards are responsible for securing University Records to protect personal, confidential and privileged information from unauthorized access and use. (See Information Security Policy Statement and the Information Availability and Privacy Protection Policy). The University Archives (the Archives) is the official repository of Archival Records. The Archives will be responsible for identifying, acquiring, preserving, and making accessible Archival Records. All University Records are the property of the university and are to remain in the custody and control of the university. The university shall maintain a records classification system and a records retention schedule to help manage the lifecycle of university records. The classification system will consist of a comprehensive list of the groups of University Records by work function. The records retention schedule will provide rules for each University Record group including a retention period, security requirements, disposition method, and citation of legislation where applicable. Unless a Records Hold has been placed, the university shall dispose of University Records in accordance with the records retention schedule and procedures for the disposition of records. Disposition of University Records may include destruction or permanent retention. Legal requirements supersede all university policies and procedures authorizing the destruction of Records. Holds begin from the moment an employee becomes aware of or gains knowledge that legal action or an investigation is reasonably foreseeable, or when notice of a Records Hold has provided by the Office of the General Counsel. Requests for a Records Hold for audit or other operational purposes should be made to the Office of the General Counsel. The Records Hold remains in effect until explicitly removed by notice, in writing, by the Office of the General Counsel. Once the Records Hold is lifted, Records which have surpassed their retention period will be disposed of according to the retention schedule, and Short-Term Retention Records deemed no longer useful will also be destroyed. Compliance with this policy will be reported annually to the Audit and Compliance committee of the Board of Governors as part of regular legislative compliance reporting.